Join us in a free half-day workshop to learn more about Risk Management for Small Businesses. 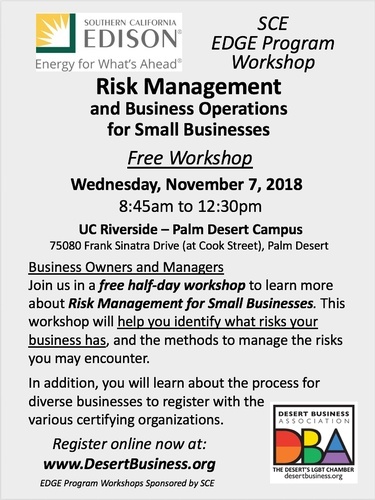 This workshop will help you identify what risks your business has, and the methods to manage the risks you may encounter. In addition, you will learn about the process for diverse businesses to register with the various certifying organizations.